Cross-border and inter-regional cooperation in cohesion and research & development spending is still limited but very much needed to prevent a multi-speed Europe writes Lambert van Nistelrooij. To unlock Europe’s growth opportunities, the MEP calls for smart regional specialisation and an Innovation Pact 2.0. Europe devotes substantial amounts of money to both cohesion and research & development. The geographical distribution of both funds is highly asymmetric. 90% of the research money lands in the old member states; 60% of the cohesion funds go to the new member states. Further imbalance in Europe is in violation of the EU treaties, which enshrines the goal of cohesion across the EU territory. Indeed, EU earnings are driven by intelligent use of knowledge and the ability to make products and provide services. “Invented in Europe” goes alongside with more “Made in Europe”. The emphasis is on completing the chain: excel, innovate, produce and export both inside and outside the EU. This enables us to achieve the Europe 2020 goals throughout the whole EU territory. There is need for a more targeted investment policy in the coming years. The Seventh Cohesion Report misses this breakthrough on the synergies between research and regional policy. We miss an integrated evaluation of the impact of the EU-research and cohesion instruments. We see too little of this in the publications of the European Commission. The Seventh Cohesion Report underestimates the synergies with the research-programme Horizon2020. The interest and take-up of Horizon 2020 has increased sharply in recent years. Many excellent researchers turn to the EU, but because of the shortage of EU funds many are not rewarded grants. At the same time, the evaluations show that the transformation of research excellence into production, services and jobs is hampering. The EU is successful in “free floating intelligence”, but conversion into the modern real economy needs to improve. On the other hand, the spending of the cohesion funds (the ESI Funds) lags behind. Member states have allocated themselves extreme timespans (three to six years) to finalise projects. This inevitably leads to an unprecedented avalanche of projects and payments at the end of the seven-year period, between 2019 and 2022. This is not good for the final beneficiaries, who have to wait for money due to a shortage of EU funds, and neither for the citizen’s confidence in the EU. Due to the ever-increasing battle for talent, the differences in the EU are widening. The debate on a multi-speed Europe does not take away this tension. On the contrary, cohesion policy needs to prevent Europe from moving at different speeds. Fortunately, territorial cohesion was included in the EU goals of the Treaty of Lisbon (Article 174). We now need to test the functioning of European funds and instruments in the framework of Europe’s function. Decentralized partners, such as the regions and cities in Europe, play an increasing role in a balanced Europe. It is an indispensable addition to macroeconomic policy and the European Semester, which provides recommendations for sound financial management and structural changes. Without strong engagement at the local level, from governments, businesses and universities, we will not get there. Cooperation in and between regional clusters in the EU is much needed to move forward. In June 2017, the European Commission published the Communication ‘Strengthening Innovation in Europe’s regions: Strategies for Resilient, Inclusive and Sustainable Growth’ on the progress made in the decentralized innovation capacity. This communication has remained largely descriptive and lacked direct consequences for the ESI Funds and Horizon 2020 and its successor. The European Parliament is given the opportunity to make proposals on this matter. The EU 2020 Strategy has been the guiding principle for the deployment of funds in recent years. The cross-border EU cooperation in the Cohesion funds is still a limited part of the investments. The learning points from Horizon 2020 and the Connecting Europe Facility (CEF), with direct EU interventions, must be more clearly identified. In a time of scarce resources, I embrace smart specialisation and an Innovation Pact 2.0. Here we enlighten the vast untapped European value added in the coming decade. In line with Macron’s proposal for an Innovation Council, Europe’s innovation capacity will be boosted. I call for a combination of the best of the different worlds; economic governance supported by research and development and the new generation of regional plans. It is here where we underperform on our growth opportunities. Europe is currently like a Maserati missing two wheels: a state-of-the-art machine, which is in need of a rapid update. 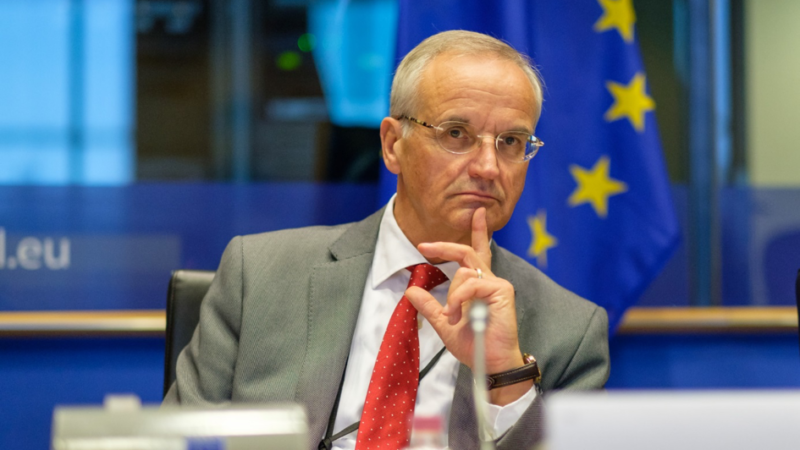 Lambert van Nistelrooij is also co-chair and co-host of the 9th European Innovation Summit and the first EUTop50 ‘Hemicycle Start-up Convention’, this year organised in the context of the first ever European Innovation Week (27 November to 1 December 2017). EURACTIV is a Media Partner of these events.